I am totally and absolutely superstitious. 100%. Every entrance of our home has a horseshoe hanging above it. Let's blame my Irish roots. 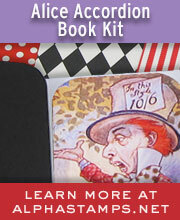 Needless to see I was wholeheartedly on board to play with Authentique's "Lucky" collection. Having an extra horse shoe (or two... or more...) hiding in my stash I knew it was my lucky day (terrible joke... could not be helped!). 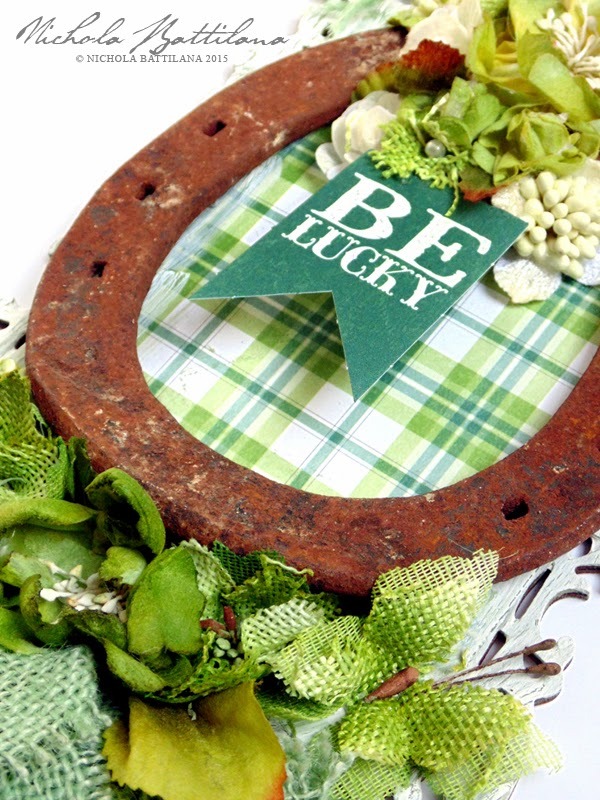 I painted and distressed a lazer cut flat frame and applied Authentique's "Lucky Four" for the background. Next, the old rusty horse shoe. Then a healthy application of Petaloo flowers and burlap trims. Finally a sentiment from Lucky's "components". Love this, Nichola, rusty horeshoe and all. Perfect house warming gift! 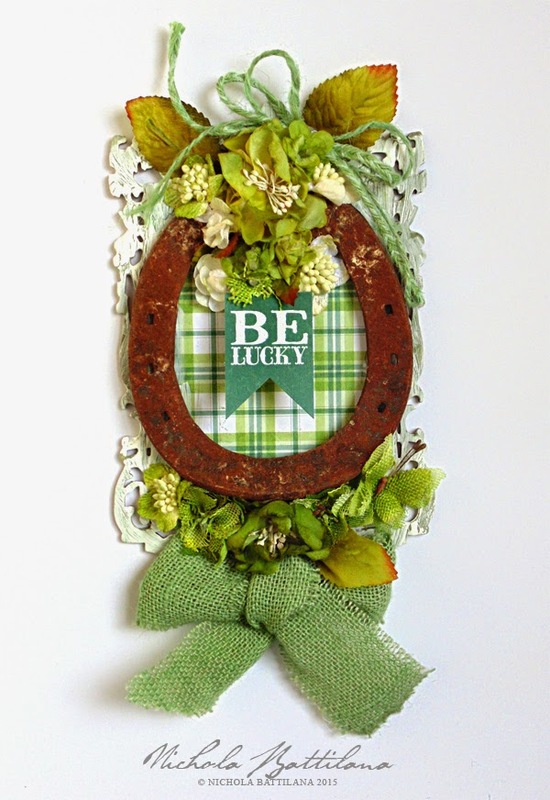 Love that green burlap bow too. 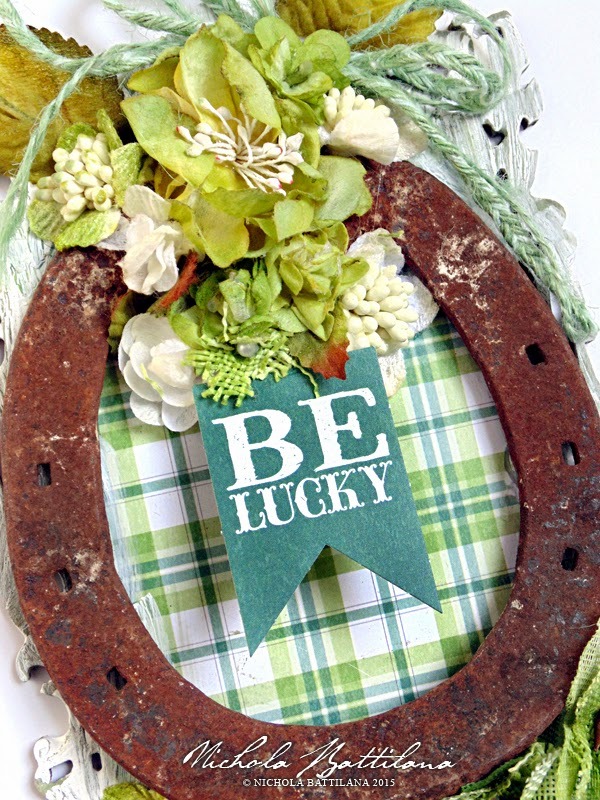 Great altered horse shoe, a perfect gift for St.Patrick's Day or any other day for that matter!